I always get so caught up in the joy of sunshine and green grass and bare feet in the summer that I spend those months cursing the return of snowy, cold winters. Then we have the first glimpse of snowy weather in the mountains and I remember how relaxing winter is after the hectic pace of summer. Such a nice trade off. So, lately, I've been reading some Jodi Picoult books. Have you read her books before? She's such a great writer. I almost find myself appreciating her writing style over the story sometimes, but that's not to say her stories aren't good. They really deal with some big issues that make you think about life and question your opinions. Lately, I've read, Nineteen Minutes, about a school shooting, Change of Heart, about a woman whose daughter's killer wants to donate his heart to her remaining daughter (I know), and The Song of the Humpback Whale, about a mother and daughter falling in love at the same time. Have you read this yet? I literally read it yesterday. It took me one day and I had to finish it. It's kind of addictive really. I'm dying to get the other three books in the series. I started it on my lunch break and I couldn't concentrate all afternoon. I could see it peaking out of my purse and almost had to put it in the car to stop the temptation! The funny thing is, it's made for teenagers.... Yep, like the Harry Potter series (which I also enjoyed). So, even thought I talked to alot of people who loved it, I kind of feel like it's a guilty pleasure. Like, maybe I'm not that much of a grown-up myself. 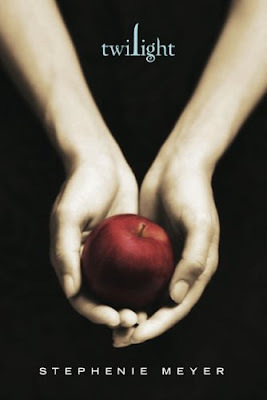 Now, can I wait until Christmas, or do I buy myself the whole Twilight series tonight after work?? Hmmmm....what would a grown up do? Do it@ Buy the series! Go see the movie this weekend too! I am going on Thursday! Readt the Pact...didn't love it. I like happy ending! LOL!!!! you know, all of us have our inner children to deal with!! I always think it is a good idea to read what the teenagers are reading so that we can try to understand them better!!! Is that a good enough reason. I also read and totally enjoyed the Harry Potter series. They were well written I think.